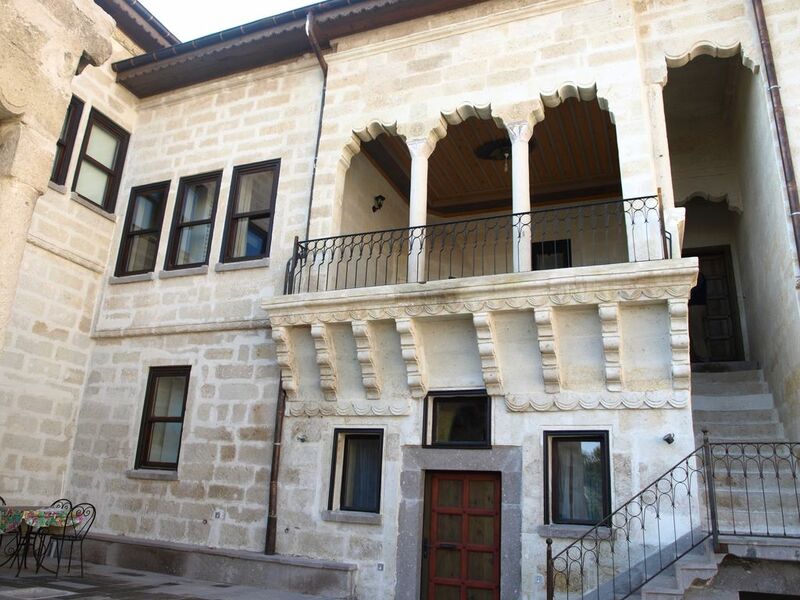 During the Ottoman Empire this was the Judge's Mansion ( Kadi Evi ) . The atmosphere of ancient times together with today comfort: a roomy apartment for 2/3 persons in an Ottoman house recently restored. Sorrounded by walls, it looks onto a silent and pretty courtyard, in the heart of the ancient Urgup.Entering the ground floor you will find a big living room: vaulted ceilings, carved into the stone and an ancient stone floor . Once upon a time it was the stable ! A fireplace add some charme to the room. Enter the large kitchen, the bathroom with shower and the bedroom with an old closet and a nice cedar wood floor. The prayer of Muezim will awake you at dawn ! But you are not here to over sleep!!! I usually live in Turin, Italy but I am lucky enough to have a house in Kappadokia. I am working as a voluntary for migrant children and women. I like travelling, animals, nature, cinema. What could I not get along with? ...But my cats, of course! I usually live in Turin, Italy but I am lucky enough to have a house in Kappadokia. I am happy when sharing it with other persons who love to travel, meeting people, ideas,cultures and religions.